Flying objects are soaring through Bo Jackson’s yard. They’re not footballs or baseballs. They’re arrows, being launched from the retired NFL and MLB player’s bow. With superhuman athletic talent, Jackson rose to fame in the 1980s as the first athlete to be named an All-Star in two major, professional leagues. From the gridiron to the diamond, he was a dominant force in both football and baseball. Possessing the rare combination of speed, strength and agility, Jackson has been widely regarded as the greatest all-around athlete that ever lived. Jackson’s stardom wasn’t just reserved for his remarkable feats on the field. He became one of the most recognizable athlete endorsers of his time, starring in a series of popular, Nike “Bo Knows” commercials that aired from 1989-1990. In the commercials, Bo was featured taking on many sports, such as basketball, soccer, cricket, surfing and horse racing. 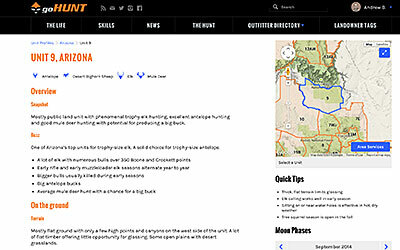 Left out of the famous advertisements, however, was the fact that Jackson really knows bowhunting. Long before he was a professional athlete and celebrity, he hunted and killed game with recurve bows, long bows, self-bows and his favorite, a Ross compound. Growing up outside Birmingham, Alabama, Jackson grew up hunting, fishing and practicing woodsmanship “pretty much out of necessity,” according to the Iowa Chronicle Times. He even began making his own bows and arrows as a kid. “[I] got bottle caps off of Coke bottles and bent them around the tip of [a] twig,” Jackson told GQ Magazine for how he used to make his homemade arrowheads. Now living in the Chicago suburbs, the longtime archer builds his own pro-level arrows in his basement, which has been turned into his personal man cave. Packed with bowhunting gear and parts galore, Jackson’s underground hideaway would impress any archery enthusiast. His dedication to the sport is enviable. Not even Monday night football can keep Jackson away from his arrow-making sanctuary. Jackson has a practice range set up in his yard, using a foam, big-game target to simulate a real-life hunting situation. 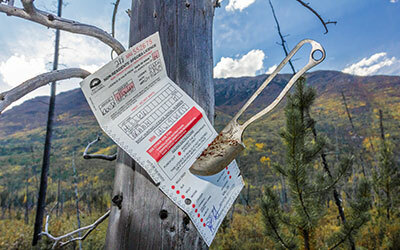 “When you’re elk hunting, you got to take a long shot … you take shots up to 70-80 yards. So, I can get back in my neighbors yard across the street … and shoot and hit that target,” said Jackson on the importance of practicing his long-distance shots. 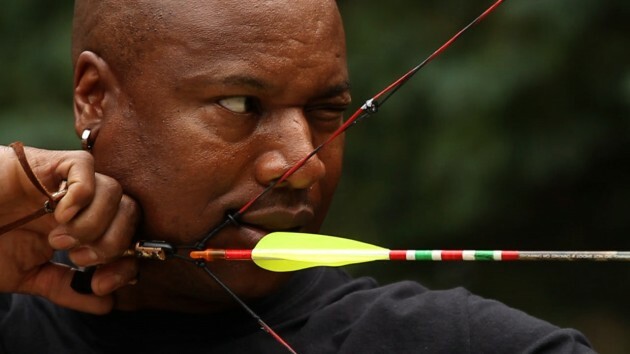 Jackson, who suffered a hip injury during a 1991 football game that ultimately ended his two-sport career, was just as committed to archery during the height of his pro athlete days. 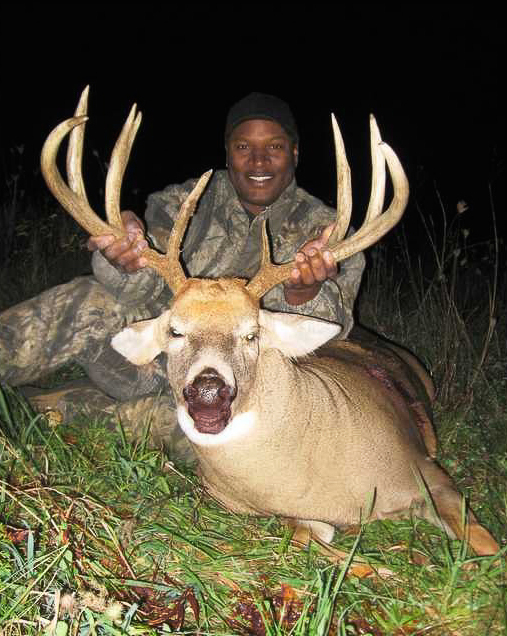 He didn’t have much time off the field, but during his month or so of free time each year, he tried to hunt and fish as much as possible, he admitted in a 1989 interview. Before baseball games with the Kansas City Royals, Jackson would practice archery inside the team’s clubhouse, setting up his own makeshift range. His pre-game ritual “was a way to relax,” Jackson said in an interview for ESPN2’s “Highly Questionable.” Not so relaxing was the potential danger of misfiring an arrow and accidentally hitting a teammate. Jackson admitted some of his teammates used to let him shoot apples out of their hands. When questioned on his seemingly dangerous archery practice, Jackson said with a straight face: "listen, it’s not dangerous for me." 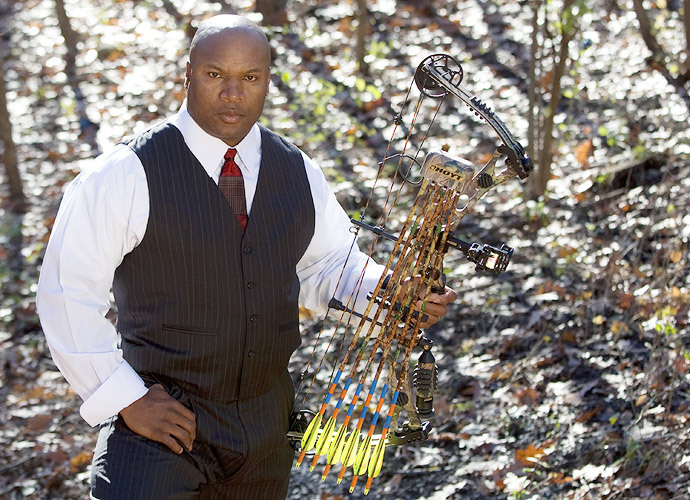 A highly skilled archer with top-notch form, Jackson exhibits the same tremendous strength with a bow and arrow as he once displayed in the NFL and MLB. Watching the retired athlete effortlessly pull back a heavy bow is strangely reminiscent of his infamous bat-breaking outbursts of frustration on the field, where he used to break baseball bats on his knee. Jackson now enjoys bowhunting big game, including elk and whitetails across the nation and makes it very clear on ESPN’s “You Don’t Know Bo” that he does not hunt for the sake of hunting. “All of the meat from these animals [I’ve harvested], me and my friends have consumed it or I’ve donated it to needy families. So nothing goes to waste,” Jackson said. Without wasting any more time, Jackson gets back to practice. He draws back his bow and releases his arrow. Right on target. "You Don't Know Bo" is a great documentary. I have a lot of respect for him. I love reading about childhood heros and their love for hunting. Awesome article!